Summer is finally here, and to be honest, we are lovin’ the sunny vibe. And what we got in our inbox totally brightened up our day, too! For today’s party peg, we bet you’ll feel all sorts of warm and fuzzy with a Winnie the Pooh-inspired celebration. 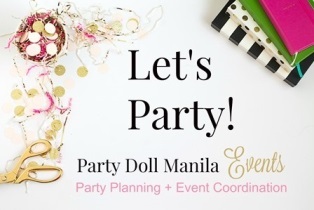 The creatives behind The Party Project Manila pulled all the stops to make everyone feel like they’re inside the Hundred Acre Wood partying with li’l Maddie when she turned one! Let’s all enjoy the fun, adorable snaps from Little Coeo by Bella Morcen as we tumble through this bright, hunny-filled fete! As Winnie the Pooh welcomed guests, a charming hodgepodge of flowers, trees, and bees lined up and graced the gateway to the Hundred Acre Wood. Of course, there has to be jars of honey, oh we meant hunny, to fill the rumbling tummy of our beloved bear! Step inside and be blown away by the cheery overhead décor! Paper lanterns and streamers in yellow, white, and mint green festooned the ceiling and lent a bright feel to the festivities. We loved how the bee cutouts flocked around the paper lanterns as if they’re beehives! Oh so playfully endearing! When we saw the stage, we had an “Oh, my!” moment for being truly breathtaking! It was totally cuteness overload. We spot all of our favorite lovable characters having fun and picnicking in the woods, and it takes us back to why we find Winnie the Pooh and his pals- Tigger, Piglet, and Roo, were so unforgettable! And it looks like Pooh couldn’t wait for Maddie’s fete to get started and was already dipping his hands into the pot of hunny! Tables were tricked out in dreamy shades of sunshine yellow and light green, and each had a plushy of Pooh as a centerpiece. Look closer and you’ll love the deets as much as we do! A circle of faux grass mimicked the forest floor and had Pooh sitting as if he’s enjoying everyone’s company – and his pots of honey, of course! Maddie’s cake was a two-tiered creation featuring Pooh and friends, and this time, Eeyore’s on it too! And because Pooh loves sweets (well technically, just hunny), there was a delectable dessert spread for everyone! Airy macarons, luscious layered cups, and all sorts of goodies were such a feast to the eyes and the palate! We bet that no one can resist the lip-smacking treats as a sweet ending! After the feast, kids and adults alike were treated to a fascinating magic show by Symond Francisco. Frankly speaking, we think we’ll never outgrow the charm of a magician’s tricks and sleight of the hands! Before the merrymaking started, kids had a blast with building blocks and designing their own plushies. There was a nook of activities for the young ones by sparking their inner creativity and imagination. Mind-stimulating exercises had them “Think, think, think!” which is great way to pass the time and keep them entertained. We do hope to see more of these in future fetes! Guests get to take a little souvenir of the day’s celebration with a photo at the chic, cozy nook. With a whitewashed bench, fluffy paper pompoms, and sunshine yellow-filled backdrop, it was a perfect setup for Insta-worthy snaps! As tokens of gratitude, loot bags and plushies of Pooh and Tigger were given away to everyone who celebrated with li’l Maddie and her family. We bet that the loot bags were filled with everything good and yummy – just like how Pooh loves it!